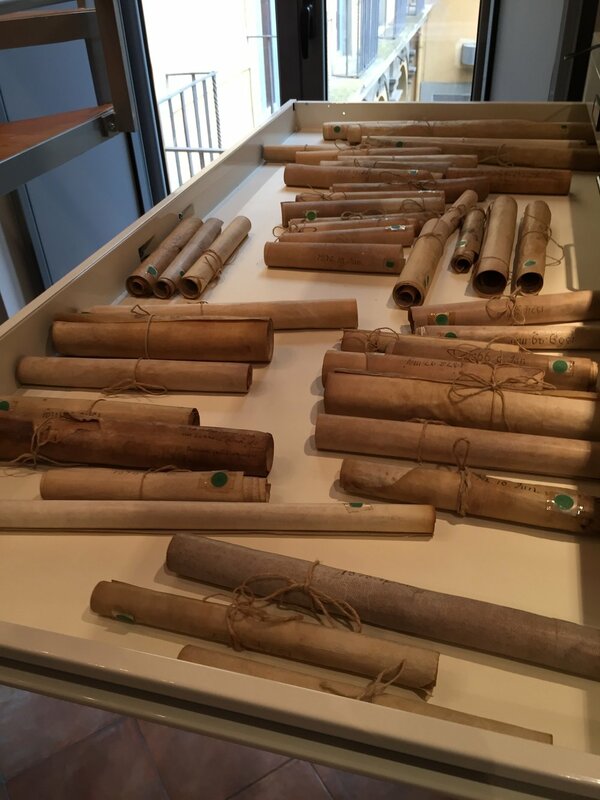 The Membrane section of the Archives houses some 450 parchment scrolls dating from 1280 to 1971. 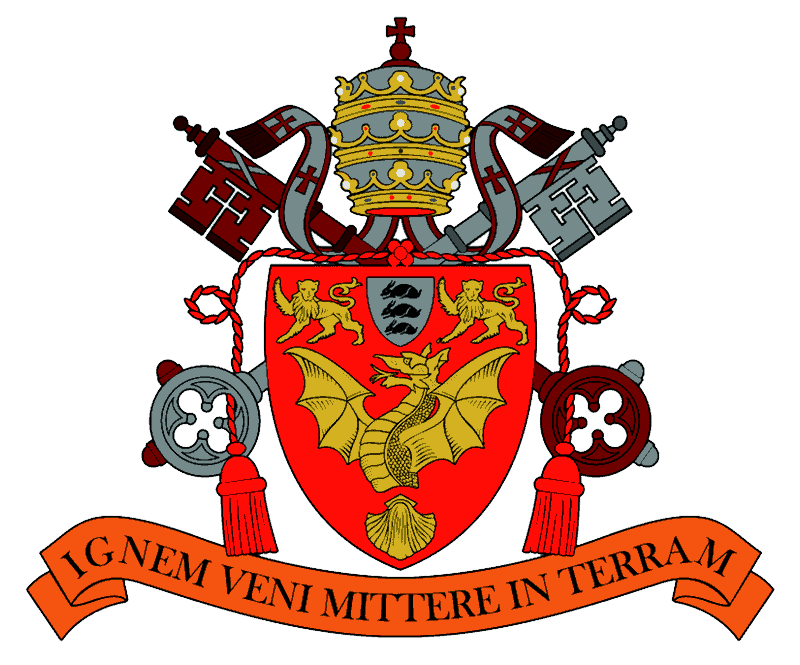 These comprise a wide variety of material, including title-deeds of properties in Rome purchased in the medieval period to endow the English Hospice with the means of supporting poor pilgrims from England and Wales; leases and conveyances of these properties to private individuals; wills of English people resident in Rome during the Middle Ages; a considerable collection of papal bulls, including Pope Gregory XIII’s bull founding the Venerable English College (VEC) in 1579; subsequent bulls granting the College privileges and special permissions; documents relating to the abbey of San Savino at Piacenza in northern Italy, the revenues of which were granted by Gregory XIII to the new Venerable English College (VEC) in or about 1581 as part of its endowment, subsequently lost; other papal briefs appointing cardinals protector of England and of the VEC; and numerous degree certificates awarded to rectors of the College. These materials have been stored for centuries as a set of rolls. Over time, these have become increasingly brittle and difficult to consult, as they cannot be read without being unrolled and weighted down carefully. Happily, through advanced modern conservational techniques, the parchments can be very gently rehydrated in laboratory conditions over a period of weeks, laid flat, conserved and then stored in acid-free folders, with each document protected by a layer of inert archival-quality Melinex polyester. This procedure has already been used successfully in conserving a small number of early maps of College properties and, funding permitting, can now be extended to the Membrane collection. Following a recent, comprehensive conservational analysis of the parchments and the preparation of detailed estimates for their restoration and long-term preservation, a funding bid is being submitted to the Italian Ministry of Cultural Heritage and Activities (MiBAC) for this work to be undertaken.